I’ve been putting-off writing anything about Resistance 2 for a quite some time now. I completed the game a few months ago, but I just haven’t been able to think of anything interesting to say about the game. I enjoyed the game, but I don’t really have anything else to say about it. 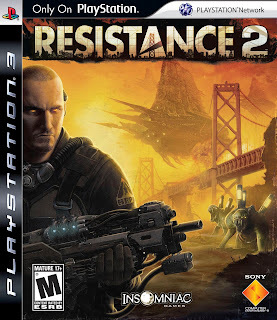 In the wake of a debilitating lack of an original opinion on Resistance 2, I decided to browse the review scores for this game on metaritic. I wanted to see what the critics would have to say about a game that—according to the anecdotes I had absorbed—was a major disappointment. Needless to say, its relatively high score of 87 was a bit of a surprise to me. My favorite excerpt from the critic reviews comes from Eurogamer Portugal, who gave the game 100 out of 100 but wrote that the game "is not perfect." Upon browsing the Eurogamer Portugal site (with some help from Google Translator), I quickly found their scoring policy. They actually gave the game a 10/10 based on their reviewer’s highest recommendation of the game. To me this explanation grants validity to what would have otherwise been made absolutely ludicrous by its oversimplified translation to a metacritic score. 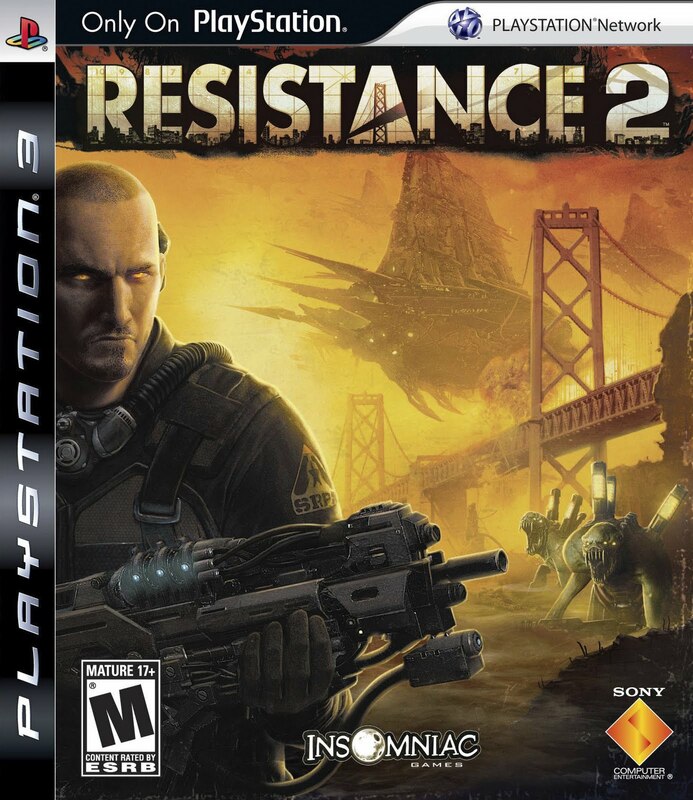 However, this just leads to a healthy skepticism of metacritic and has nothing to do with Resistance 2. Perhaps we should return to the topic at hand. So what do I think of Resistance 2? There are several moments in the game that are truly spectacular. The gameplay is well executed: challenging and entertaining. The coop is quite difficult but equally as fun. 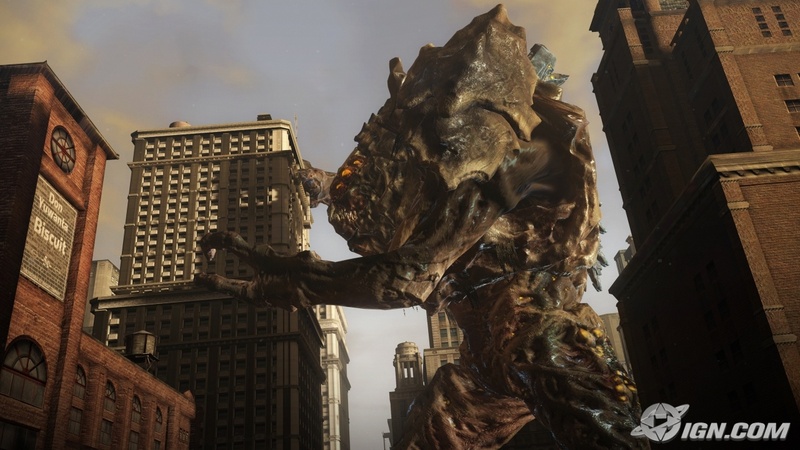 And perhaps what I enjoy the most about Resistance 2 is the science fiction alternate history. It must be my relative lack of interest in first-person shooters that robs me of words. I don’t really have much to say about the genre as a whole. RPGs have been my games-of-choice for so long that I often find myself getting bored with games that reduce all interaction with the world down to killing things. 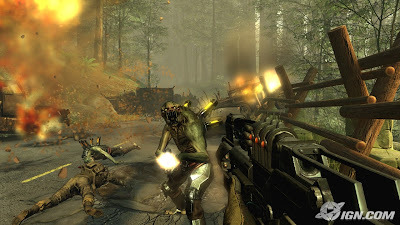 There is certainly room for big-budget, heavily-scripted, high-action shooters in my collection, but beyond Call of Duty 4: Modern Warefare and Resistance even my recent favorite shooters—Fallout: New Vegas and Borderlands—are representative of a progression beyond being just a shooter. I guess that’s all I have to say. What do you think?